Historic England are celebrating Islamic heritage and have just listed two mosques in the UK and upgraded the listing of two other mosques in the country. 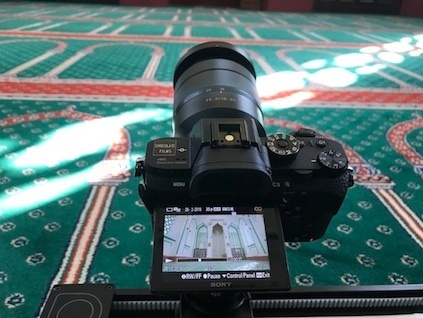 As part of that celebration, we produced a promotional video showcasing some of the country’s oldest and most beautiful mosques. 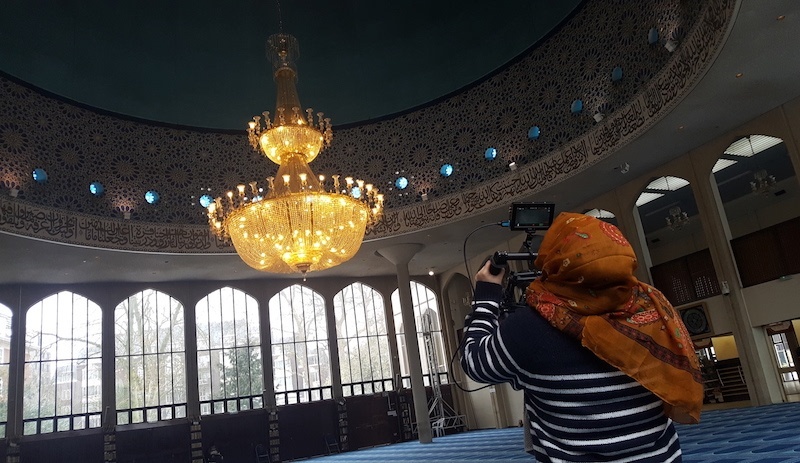 For the film colleague Emily and I had the opportunity to visit and film Britain’s first purpose-built mosque, the Shah Jahan Mosque in Woking (now the first Grade I mosque in the UK) and the London Central Mosque in Regent’s Park (which today became a Grade II listed building). 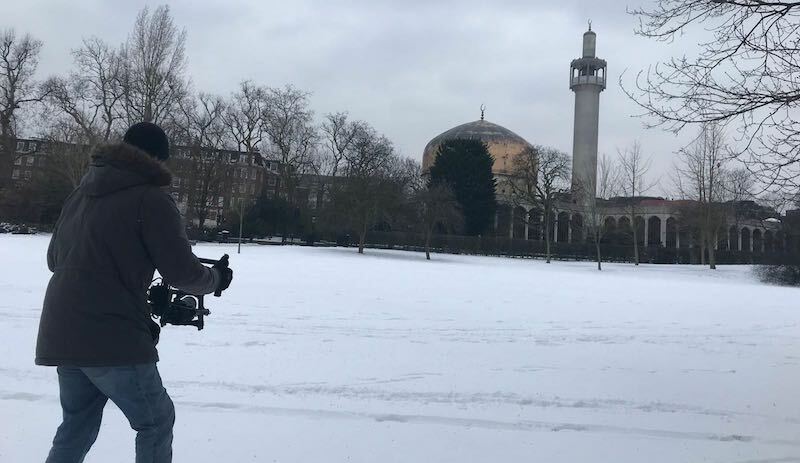 We filmed both mosques in what had to be one of the coldest weeks of the year, with knee-deep snow. But that didn’t distract from the mosques we were filming and their sheer beauty. First stop was the Shah Jahan in Woking. I have visited a mosque before, but it certainly didn't have as incredible an interior and exterior as this building. From its colour palette of greens, cream and gold to its high windows with little shapes of the Star of David the Shah Jahan really is something to admire. We were also surprised at how small it is (it can only hold around 60 worshippers), but it was a great opportunity to use the Genie to allow smooth pans and rotating shots of the dome and chandelier. Walking into the London Central Mosque in Regent’s Park was quite surreal as the scale of the prayer hall and its huge dome and chandelier is truly breathtaking. We were able to use a wide lens (18-35mm) on the Sony a7sii camera and Movi M5 gimbal, in order to capture its scale. This mosque can hold thousands of worshippers. 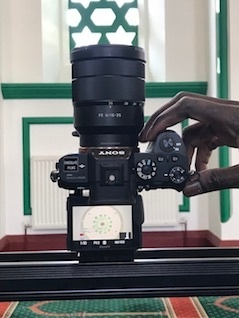 You can see our film below, which includes a mixture of footage of the two mosques we shot and photographs of other mosques across the country from Historic England.